on the days when your hair is a frizzy mess and you’re feeling a little bloated from holiday treats, a denim or chambray shirt and red lips will take you a long way towards feeling better. there’s a little something in life you can always rely on. also, chocolate and peanut butter. you can rely on those too. Great comfy outfit! I like the detailing on the front of your denim shirt. Cute! 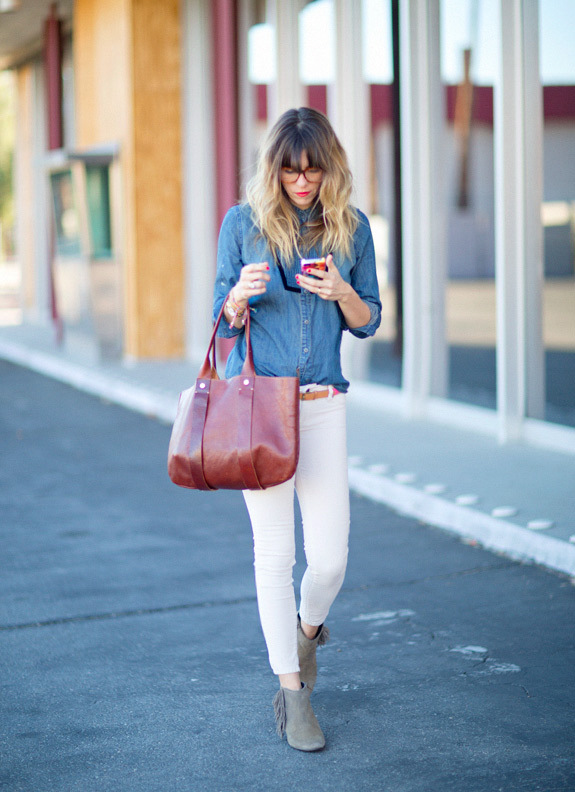 You look amazing – I really want a basic denim shirt like this! thanks ladies! denim shirts are such a staple for me! Love the red lipstick! Bummer for me, it always ends up on my front teeth!! Great look ! You are correct about red lips anytime I feel a bid ehh with an outfit I throw on a pop of red lips and tada transforms it instantly. Loving that bag. I completely agree! 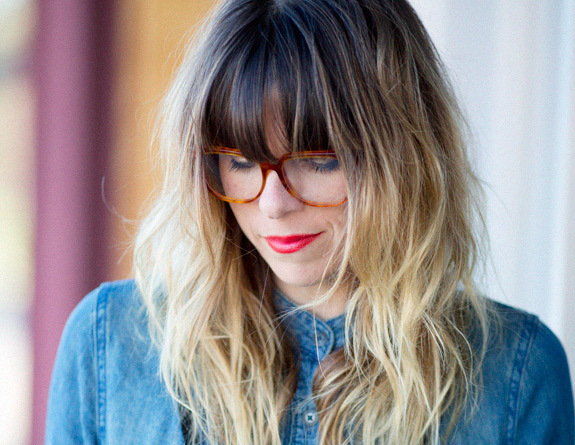 My chambray shirt is my go-to when I don't want to think about what to wear. And red lips are my go-to when I don't feel like bothering with eye makeup! @mirna and @kirby yes! red lipstick is a lifesaver. @lo thanks so much for coming by and the sweet note! love this outfit! the glasses pull it all together! Love your oufit. Simple, elegant and perfect. I think I'm gonna buy a denim shirt.